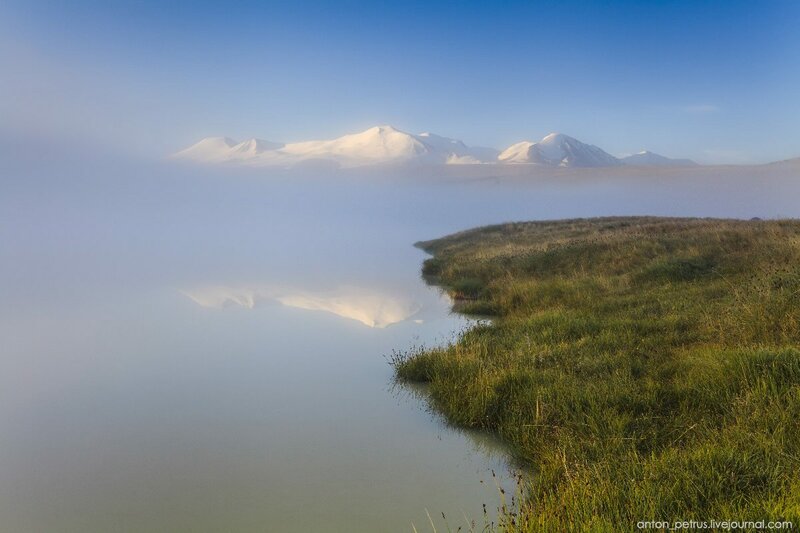 Geyzernoye Lake, also known as Blue Lake, is a unique body of water in Siberia located in the Ulagan district of the Altai Republic, near the village of Aktach. 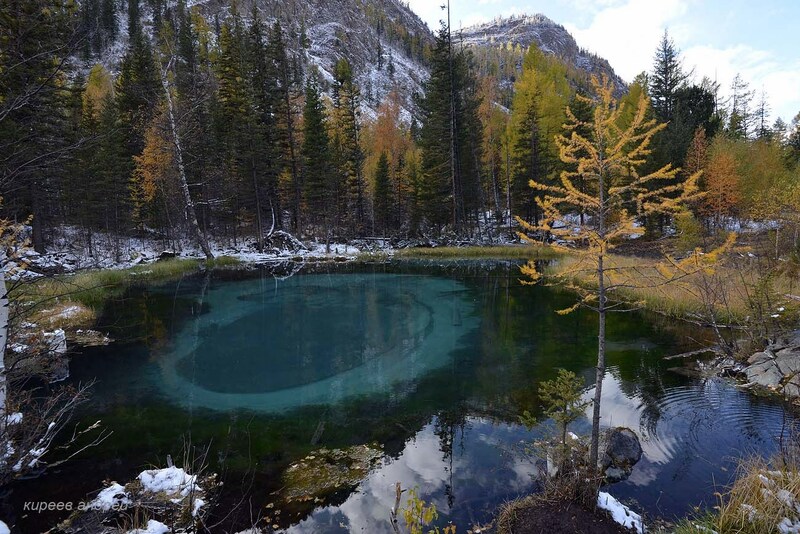 The main feature of this clean and ice-free lake is thermal springs that bring the blue silt to the bottom forming colorful and bizarre pictures – various concentric circles. Geyzernoye Lake on Google Maps. Photos by: Andrei Kireev. The tract of Akkurum (Ak-Korum) is located on the right bank of the Chulyshman River, about 15 km from its confluence with Lake Teletskoye, in the Ulagan district of the Altai Republic. Akkurum, meaning “white rockslide”, is a very picturesque place which main attraction is the group of so-called “stone mushrooms” – stone pillars formed as a result of wind and water erosion and reaching a height of 7 meters. Akkurum on Google Maps. Photos by: Andrei Kireev. The following beautiful autumn photos were taken in the area of Lake Akkem at the foot of the northern slope of Mount Belukha. It is the highest peak of the Altai mountains (4,509 m) located in Ust-Koksinsky district of the Altai Republic. Lake Akkem on Google Maps. Photos by: Anton Petrus. Altai is a true sanctuary of wild flowers. 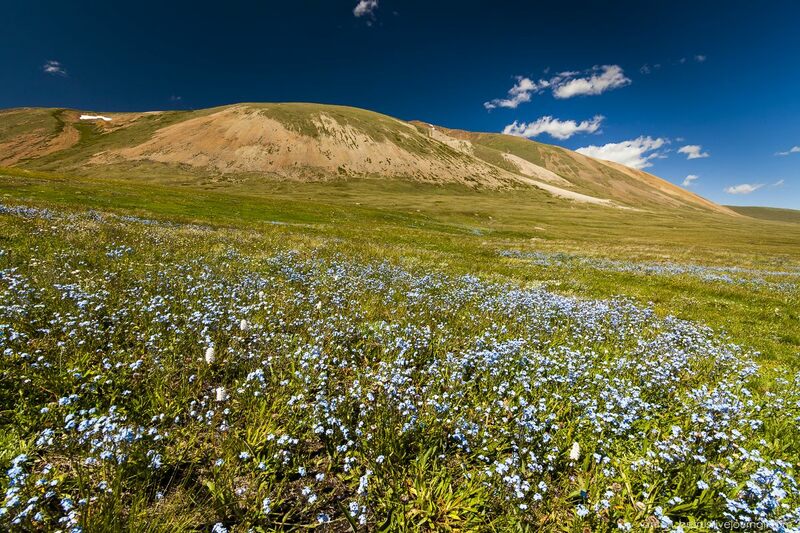 You can easily find large flower meadows of all colors – from bright orange to sky blue. 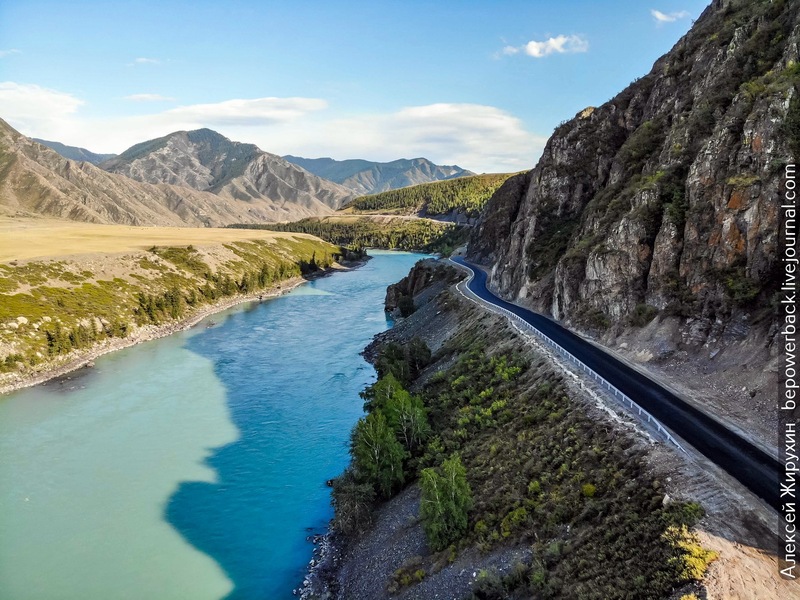 Most of the following photos were made during a trip on the Ukok plateau located in the extreme south of the Altai Republic, on the border of Kazakhstan, China, Mongolia, and Russia. Photos by: Anton Petrus. 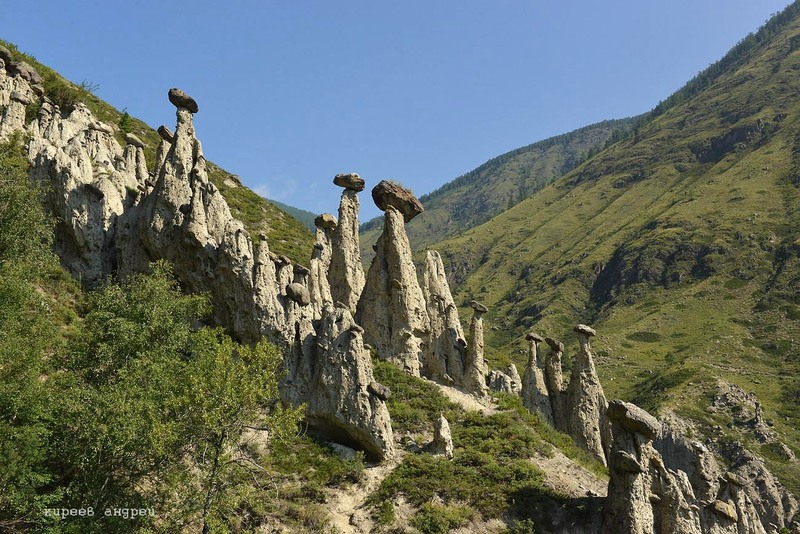 Multi-colored mountains of Kyzyl-Chin, located near the village of Chagan-Uzun in the Altai Republic, is a great place for photographers, lovers of geology and natural beauty. Clays of different colors create unique natural scenery. The local mountains look as if they are painted in stripes of different shades of red, yellow and green. 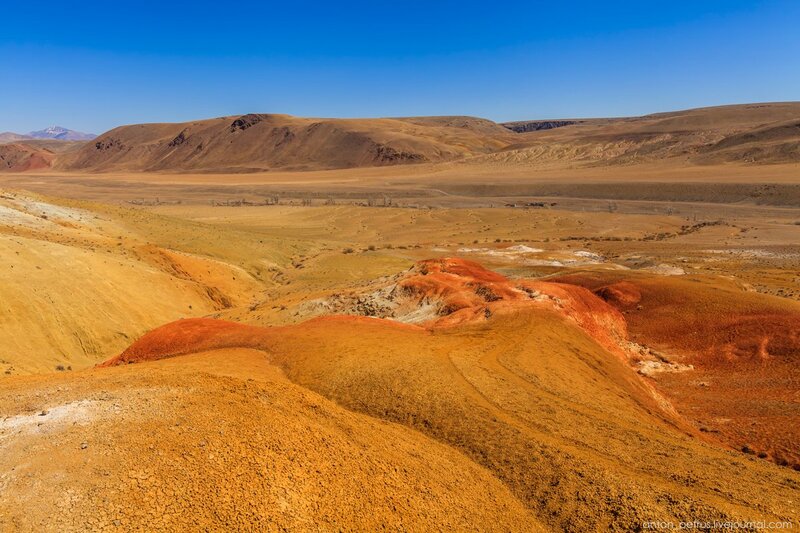 This place situated at the beginning of the Chui steppe, about 7.5 km from Chui tract, looks like a real Mars. 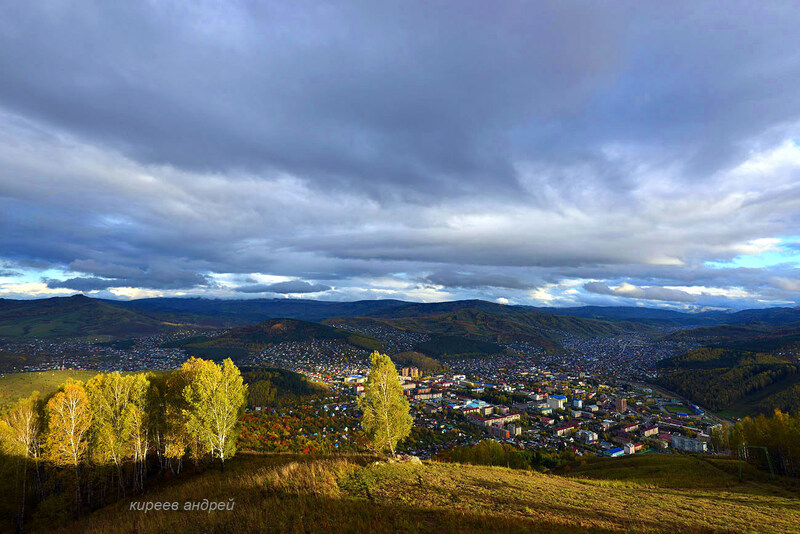 Kyzyl-Chin on Google Maps. Photos by: Anton Petrus. 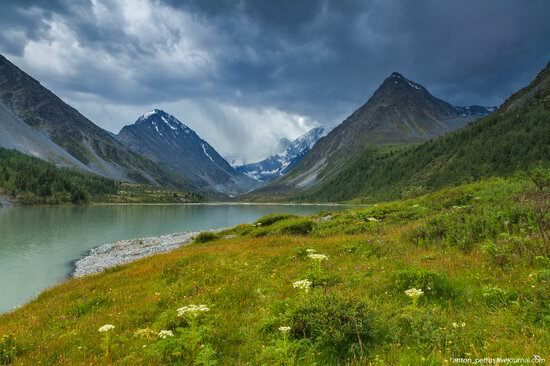 Lake Teletskoye is a lake located in the south of Western Siberia, in the Altai Republic, to the south-east of Gorno-Altaisk. 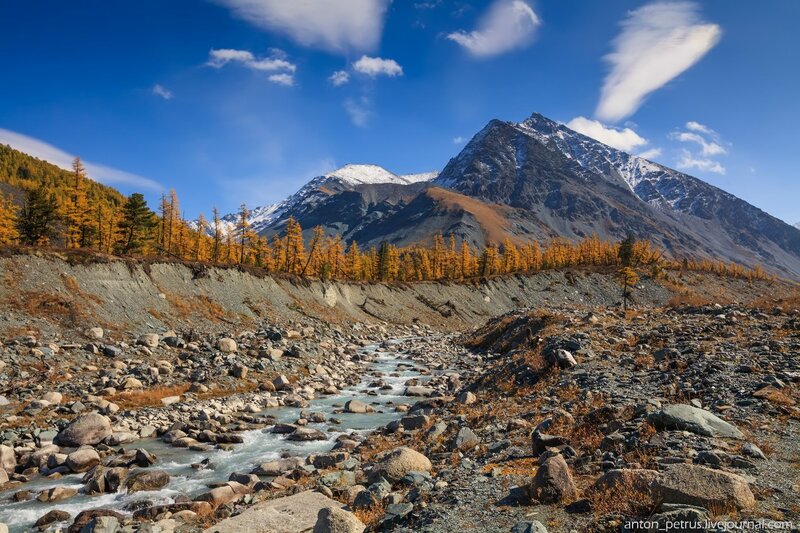 It is the largest lake in the Altai Mountains. Indigenous peoples call it Altyn Kol (Golden Lake). 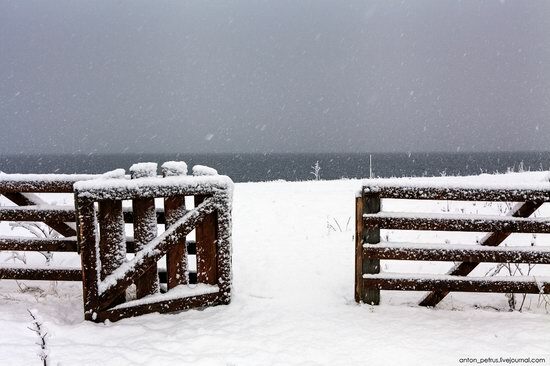 The length of the lake is 77.7 km, the width – 2-3 km, the depth – up to 325 meters.